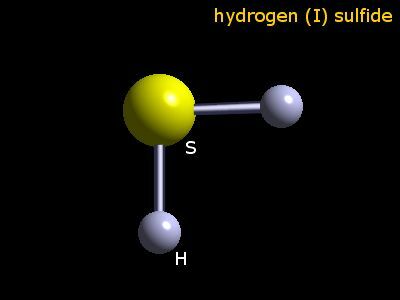 The oxidation number of hydrogen in hydrogen sulphide is 1. Hydrogen sulphide (extreme caution!) may be made in the laboratory by the reaction of calcium(II) sulphide, magnesium(II) chloride, and water. The hydrogen(I) sulphide is collected by condensation. The yield is about 80%. Other routes in the laboratory include the reaction between iron(II) sulphide and dilute hydrochloric acid, or the direct reaction between the elements at high temperatures. The table shows element percentages for H2S (hydrogen sulphide). The chart below shows the calculated isotope pattern for the formula H2S with the most intense ion set to 100%.